Elephant Retirement Park is located in the north of Mei Lin of Chiang Mai, Thailand. In Thailand, elephants have been legitimately used in military, forestry, architecture and transportation since ancient times. The strong elephants are the most powerful helpers of Thai people. However, as for elephants, it is too hard to bear. 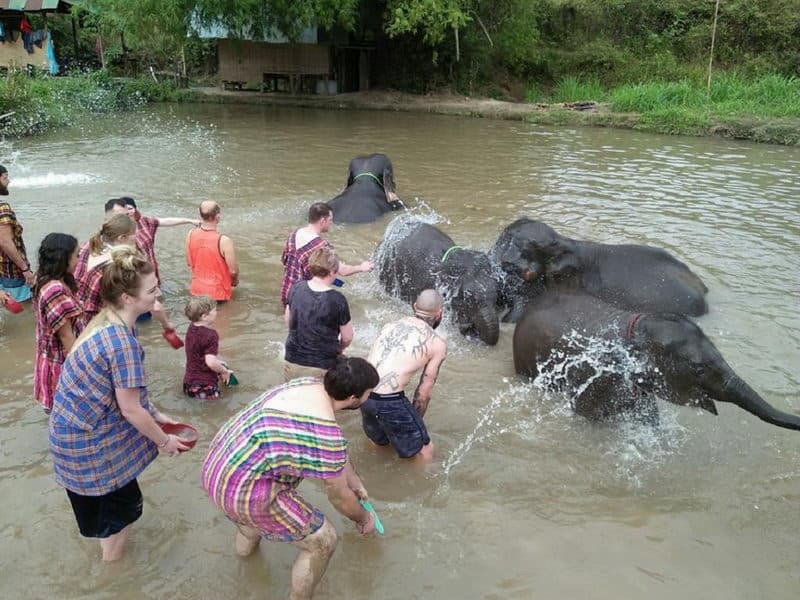 With the growing awearness of that, more and more visitors choose to join in an Elephant Sancturay tour. Adulwit khamya who is the founder of Elephant Retirement Park created a sustainable habitat for elephants. The staffs use herbs to keep the elephants' healthy and make the elephants enjoy a better-quality life. Elephant Retirement Park has created a paradise for retired elephants. It keeps elephants in a safe and natural environment. There is no profit and neglect. The only focus of Elephant Retirement Park is to promote the health of retired elephants. Elephant Retirement Park is a non-profit organization. Elephant Retirement Park will use all of the money which is donated by visitors and other social people to improve the level of elephants' life, and rescue the sick, ill-treated and orphaned elephants. Elephant Retirement Park is committed to saving elephants from tourism trade and industry. It makes elephants to live in natural habitats, and gives them better life in a safe and humane way in the same time. Tourists are forbidden to ride elephants in Elephant Retirement Park. 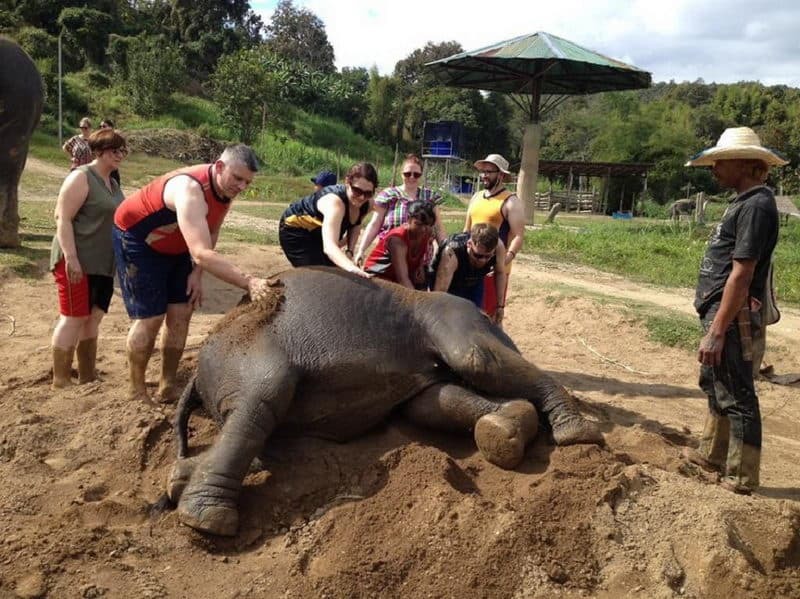 But tourists can feed elephants, bathe elephants, spend time playing with them, and interact with them without affecting the health and safety of elephants. 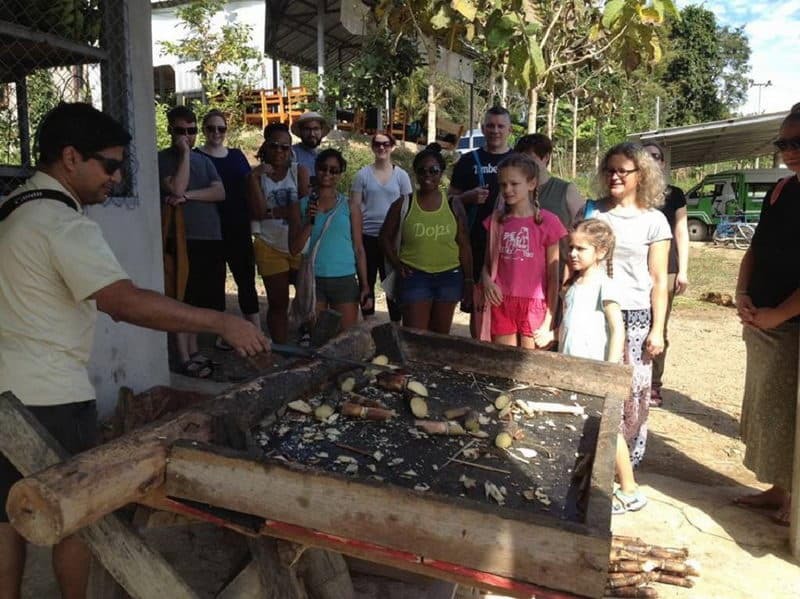 Visitors can choose a half-day tour, full-day tour, or multiday tour. Elephant Retirement Park offers simple accommodation and special cars for shuttling tourists. Visitors can also apply to be volunteers to participate in the care of the elephants, closely contact with the elephants, and learn a lot of knowledge of elephants' habits and protective measures. In Elephant Retirement Park, visitors will be aware of the importance of elephant preservation, proper diet, sleep, bathing and exercise. 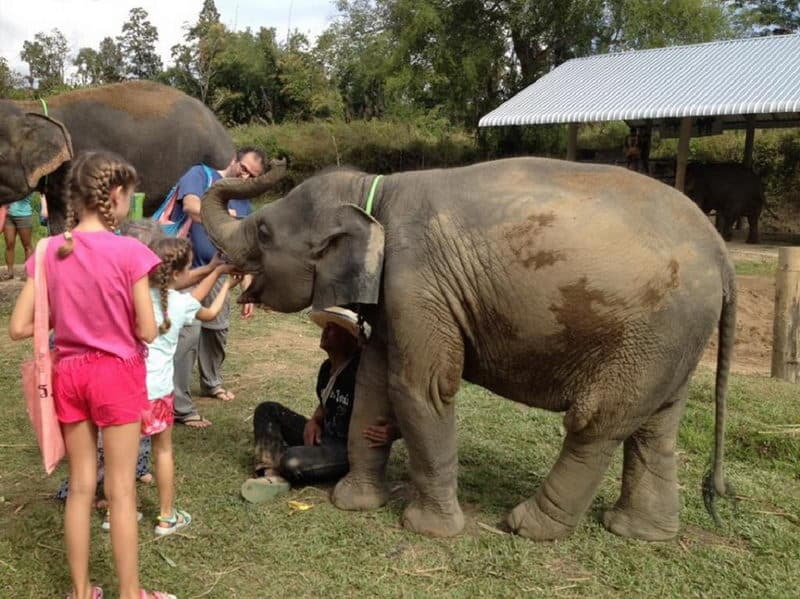 It is also very suitable for family activities, and visitors can teach children to love and protect animals when they play with the elephants. If you choose a half-day tour, you need to spend 1700 ฿ per person. It will cost 2600 ฿ per person if you choose full-day tour, and two-day tour need 5000 ฿ per person. What's more, you can spend 1700 ฿ and a half of day becoming a volunteer to take care of the elephants.